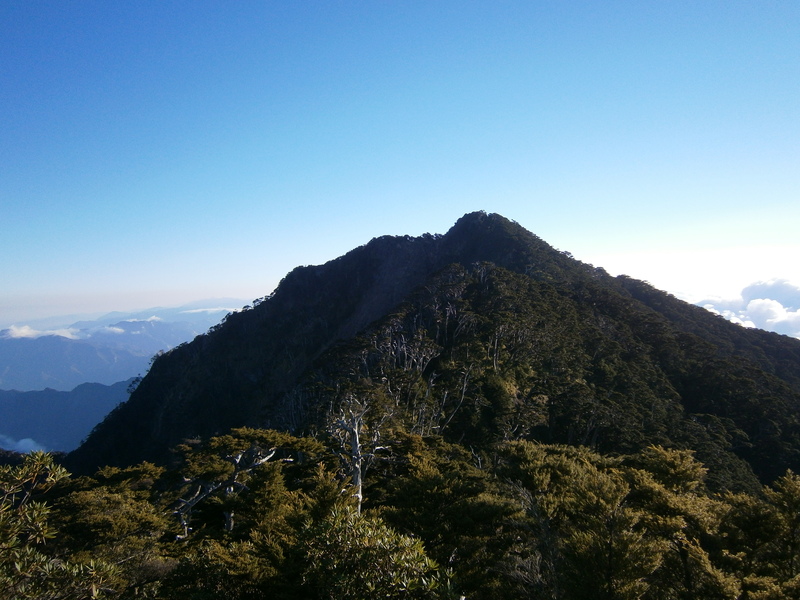 The summit of Beidawu Shan, as seen from the ridge-line trail which approaches from the south. 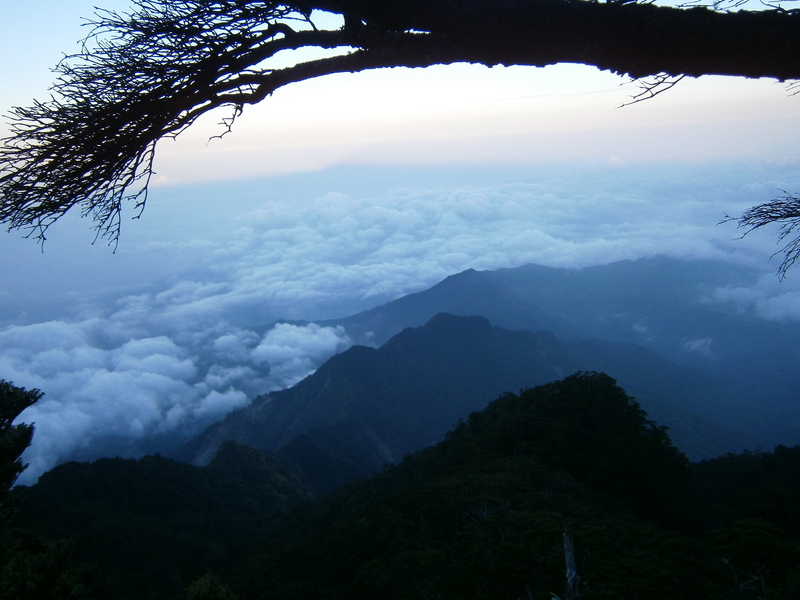 3090m Beidawu Shan (北大武山), located in Pingdong county, is Taiwan’s southernmost 3000m+ mountain. 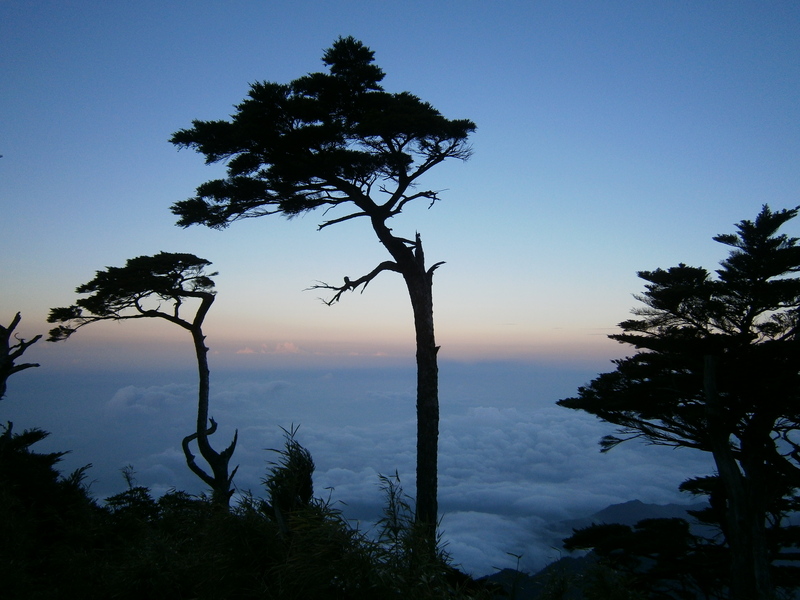 Remarkably prominent, visibly towering over the surrounding area, the trail up to the top of Beidawu Shan ascends almost 2000m, making for a really solid hike. 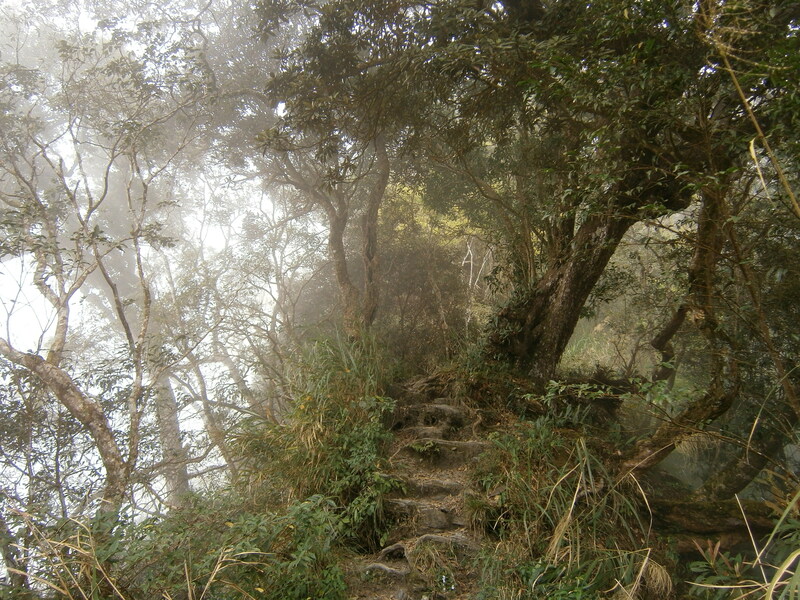 The trail winds up over staircases of rock and tree root, crossing a narrow ridge. A map of my two day hiking route. Day 1: I caught the overnight train from Taipei to Kaohsiung, arriving in Kaohsiung at 6 a.m. I rented a motorbike in Kaohsiung and drove to the trailhead. Getting to the trailhead was a nightmare – after passing the Pingdong Train Station and leaving Route #1 (see the linked map below) the road goes through some very rural farming areas, and signage is absolutely horrendous. I had to stop and ask for directions several times, despite having a map and basic instructions. If making this trip for the first time, I strongly recommend using a GPS. 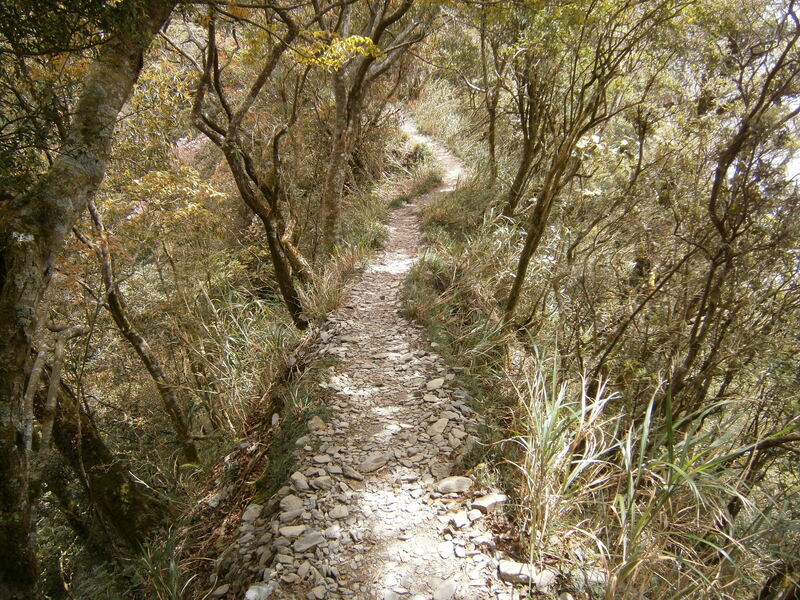 Past the village of Taiwu, the road up to the trailhead is in poor condition, heavily damaged by typhoon Morakot. Higher up, the road is impassable due to landslide, and the trailhead has been moved further down the mountain as a result. The above maps reflect this change. The lower trailhead adds a few kilometers of steep terrain to the first day of hiking, but overall this wasn’t too bad. There was plenty of parking space along the road, and the roadside trailhead was clearly marked with hiking tags. 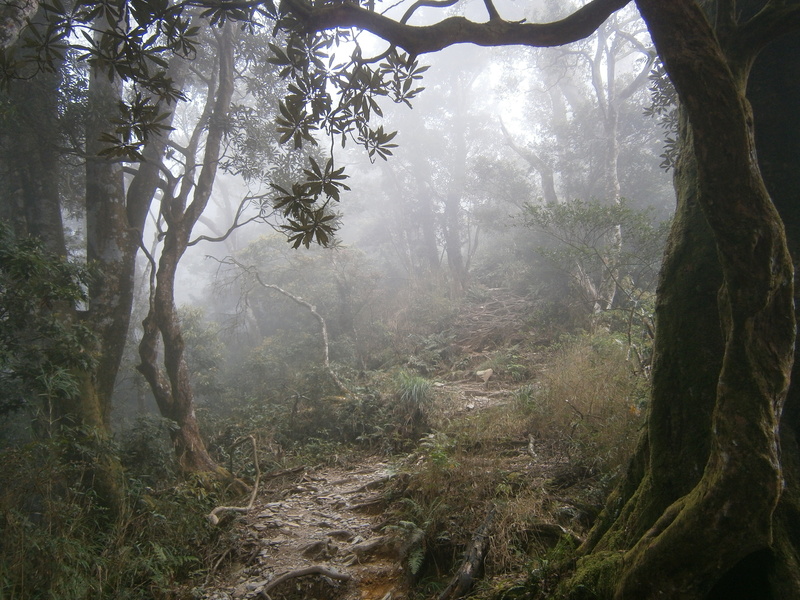 Hiking through the misty lower forest. The weather was a bit unpleasant on the first day; very humid and muggy, with fog obscuring most of the views. The trail lower down crosses several landslides. Foggy weather on the first day. Interesting, twisted trees grew all over the mountainside. 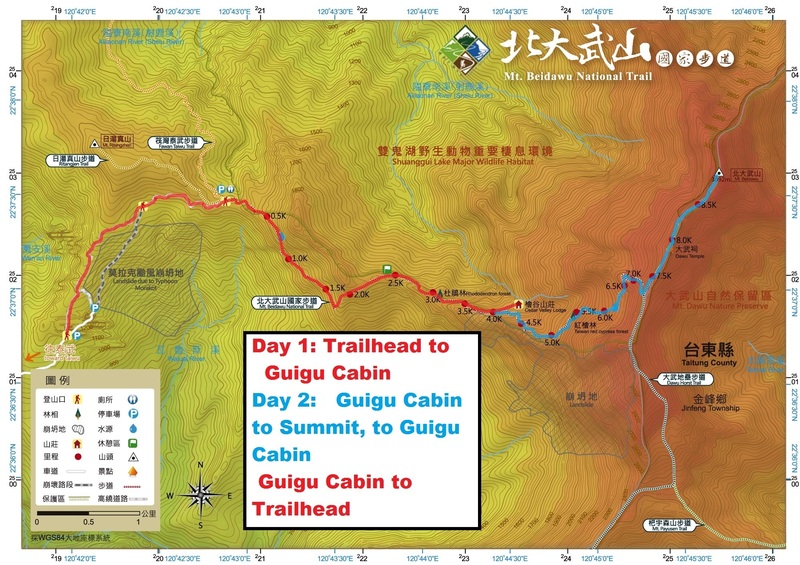 After four hours of hiking, I reached the Guigu Cabin (檜谷山莊), which was very comfortable and well constructed. I went to sleep at 5 p.m., knowing I had to be up early the next day. Day 2: I woke up at 2:30 a.m., and began hiking in darkness at 3:30 after cooking a hot breakfast. 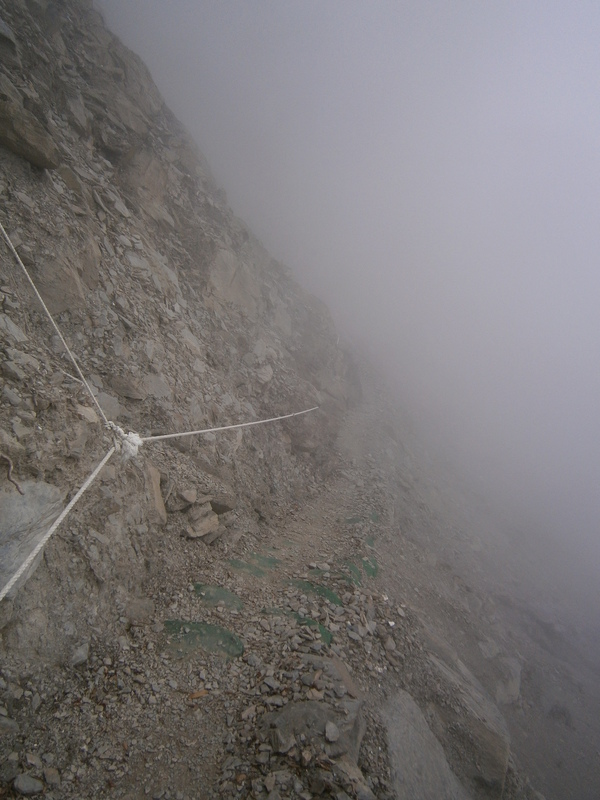 The trail from Guigu Cabin, which is located at ~2100m, ascends roughly 1000m up to the top, and is moderately steep. The trail stretches upwards across the mountain before breaking onto the ridge, where I began to enjoy some great views. Contrasted by trees, the clouds were fantastic. The horizon looked interesting in the morning light. The mountain casts a huge shadow with the sunrise behind it. The shadow of the Beidawu Shan in the morning sun. Nearby mountains looked small. 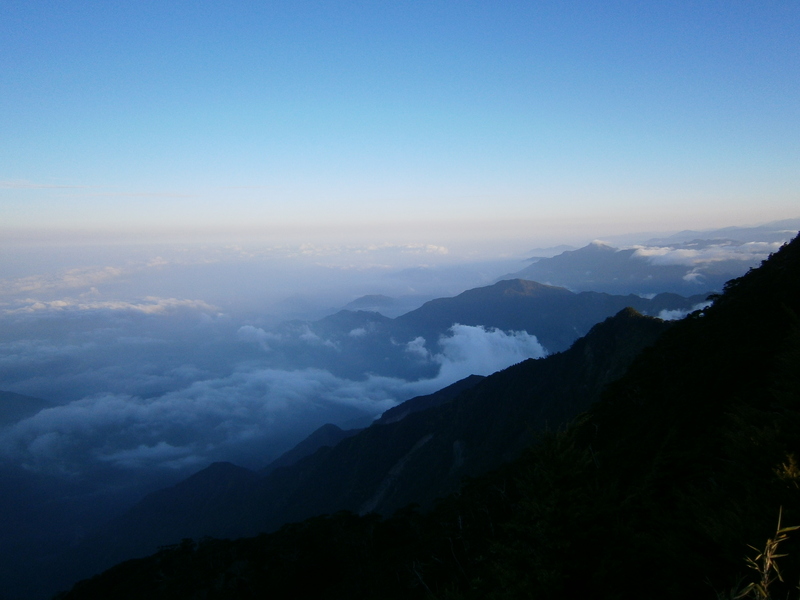 At 3090m Beidawu Shan isn’t the highest of Taiwan’s mountains, but it definitely dominates its landscape. Much higher than anything else nearby. Mountains peeking out of the clouds below. 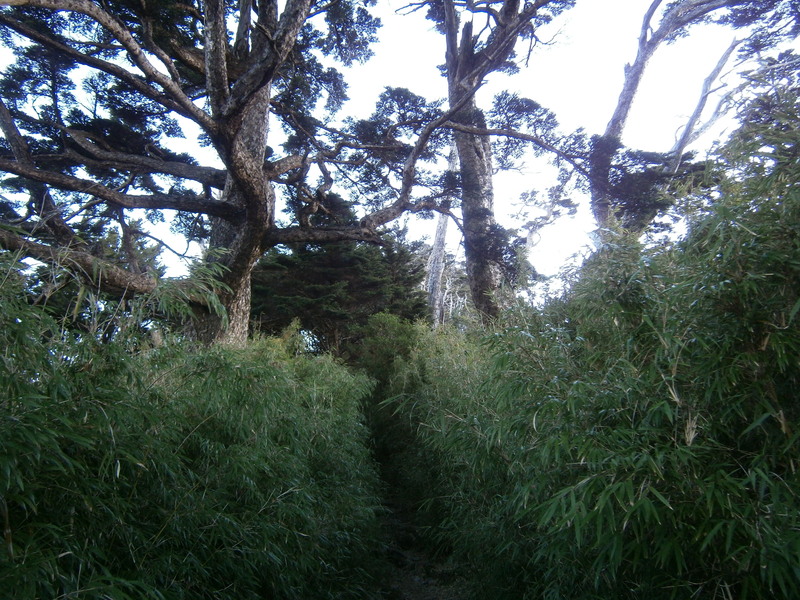 The trail on the ridge was interesting, with lots of foliage to navigate. The ridge was covered in trees and vegetation. Near the top, some interesting artifacts can be found. 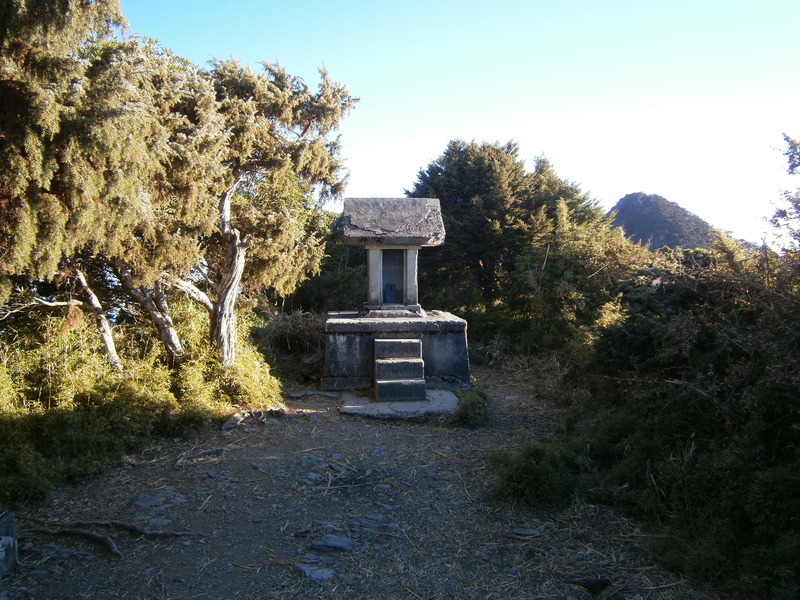 A crumbling war monument, built on the mountain to honor the Aboriginal Taiwanese who fought for the Japanese during the Second World War, occupies a clearing in the trees. It fits right in with the environment; ancient and overgrown. 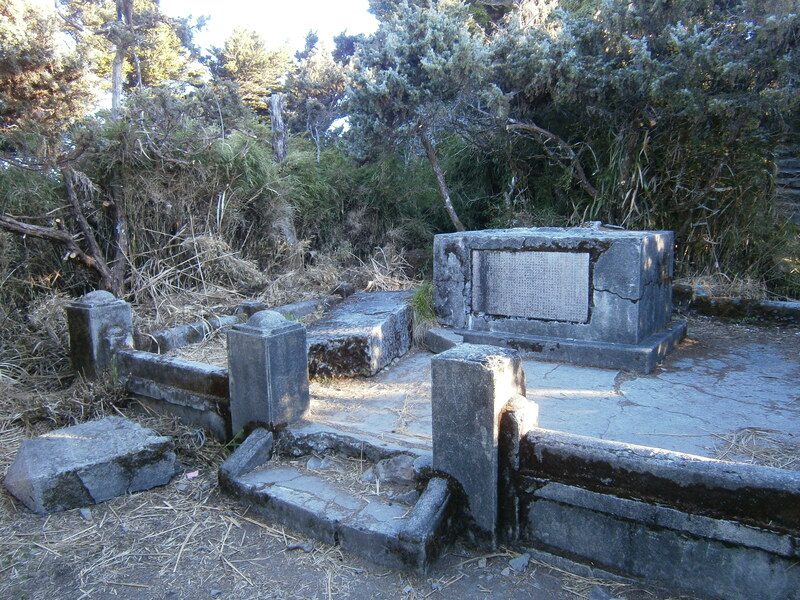 An old Japanese shrine also occupies the ridge. According to signboards posted nearby, the shrine was originally built right on the summit of the mountain, against the wishes of the local Aboriginal Taiwanese, who hold the mountain sacred. Perhaps due to this transgression, the shrine was repeatedly struck by lightning, and had to be moved lower to its present-day location. From the shrine, the summit is roughly an hour’s hike away. The old Japanese shrine. 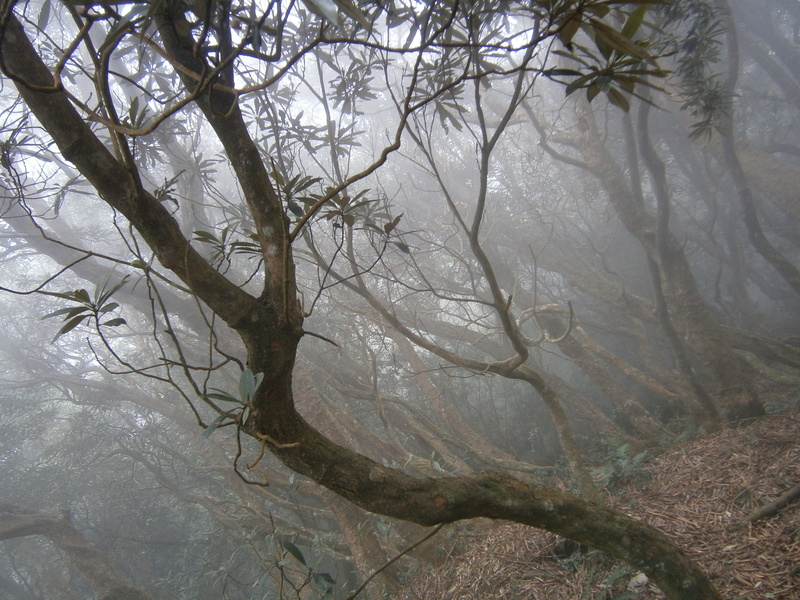 The summit of Beidawu Shan is visible past the trees to the right. I reached the top at 7:30 a.m., and spent an hour on top taking in the views, enjoying the sunshine, and eating snacks. 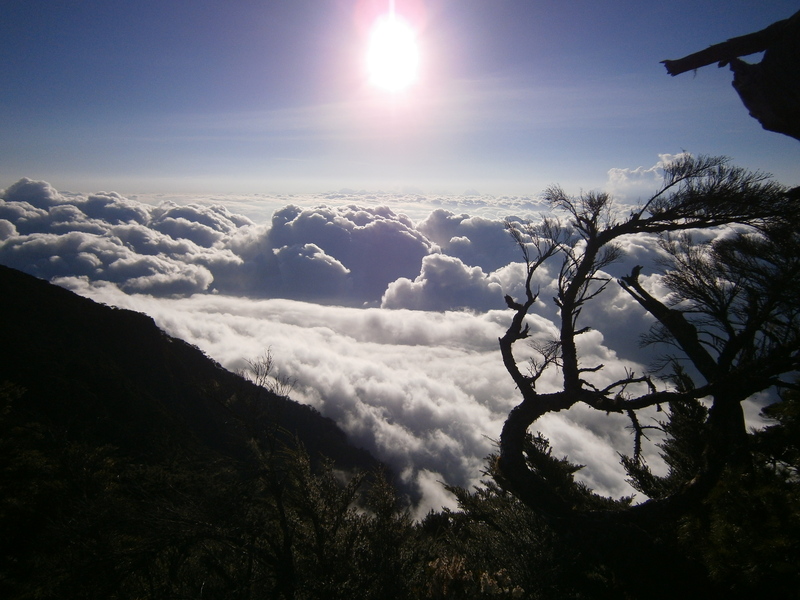 The sea of clouds was brilliant, and the sun was bright in the morning sky. 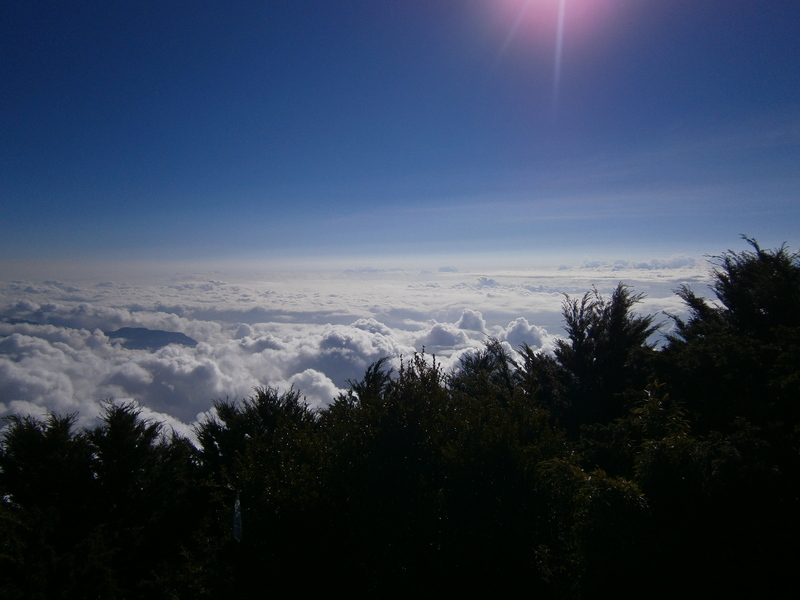 From the mountaintop the clouds seemed endless. At the top of Beidawu Shan. 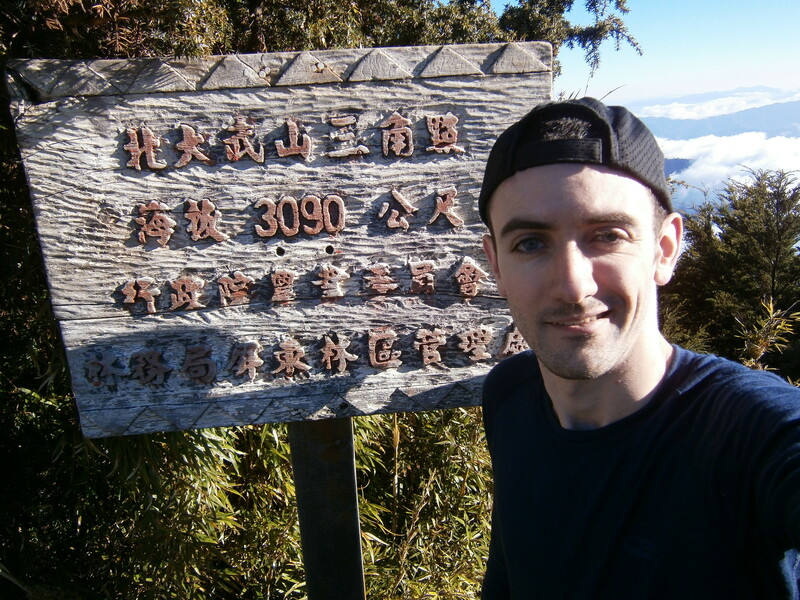 I took my time descending, and stopped at Guigu on the way down to cook a hot lunch. An interesting section of trail just below Guigu Cabin. Severe drops to either side of this narrow stone ridge. I got back to the trailhead at 2 p.m., making for a long day of hiking with roughly 1000m of ascent and 2000m of descent. Since I knew where to go, the drive back to Kaohsiung was much faster and more pleasant than the drive in had been the day before. In Kaohsiung I boarded the train back to Taipei, and had a good long nap on the way home! Reservation needs to be done well in advance, as space fills up very quickly on weekends. Unfortunately, a Taiwanese I.D. number is required to register for the website, and thus, to make reservations. If a Taiwanese friend registers and reserves a space in your name, it won’t be an issue if they don’t accompany you on the hike. Alternatively, several very nice campsites exist below the cabin. Most of the campsites use wooden platforms, so bring extra guyline if your tent isn’t freestanding. 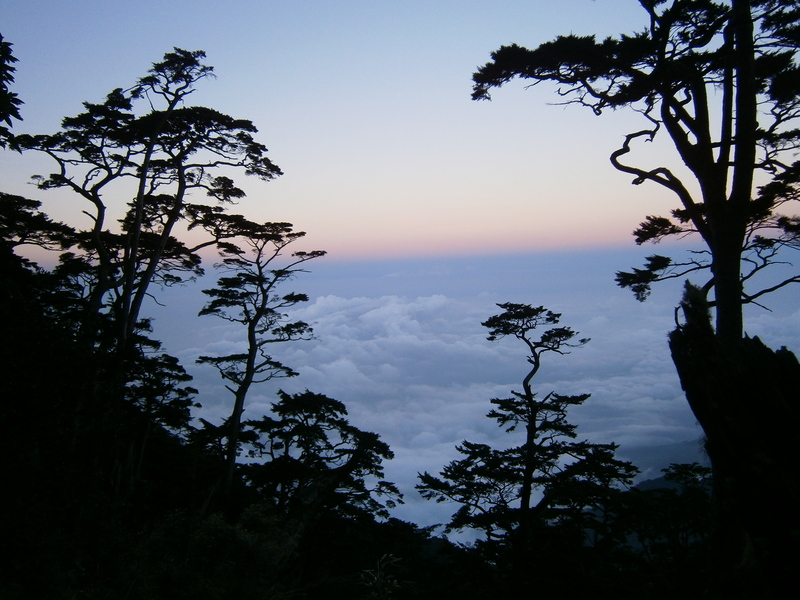 Alternatively, you can visit any Pingdong police station in person, on your way to the mountain, and fill out the paperwork by hand on the day you plan to begin hiking. I strongly urge that this only be considered a last-minute option. It is much faster and easier to do this online. 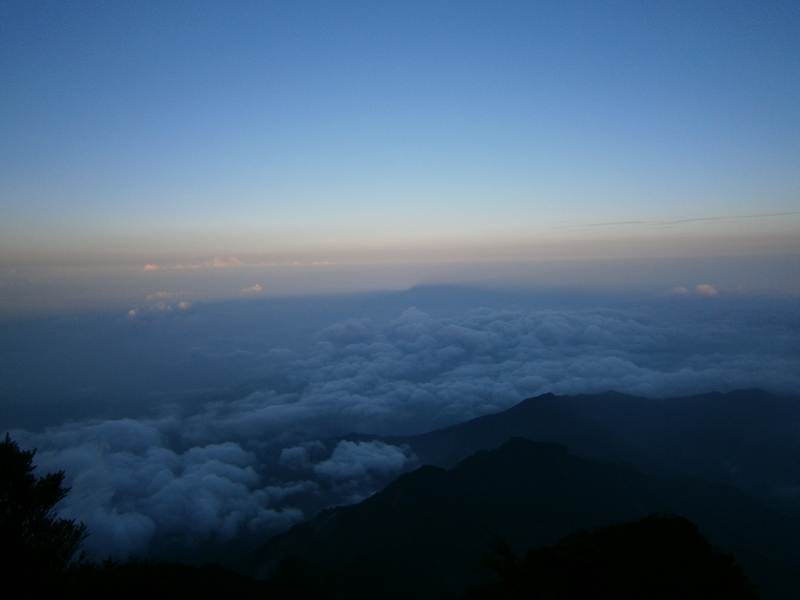 This entry was posted in Hiking, Taiwan - 台灣 and tagged Beidawu Shan, Taiwan Hiking, 北大武山 by Ian. Bookmark the permalink.